The recently launched Apple iPhone 7 and 7 plus have been lauded by technology enthusiasts and reviewers all over the world. People who have got their hands on the devices can’t stop praising about how good the camera is, and how smooth the software experience is. To top it off, the new Apple iPhone 7 and 7 plus are water resistant. It is indeed a sweet deal for people looking to switch or upgrade to iPhone 7. In Pakistan, although the phone is not ‘officially’ available yet, there are ecommerce platforms who are selling the iPhones with a hefty price tag. Now the telecom operators are also taking pre-orders for iPhone devices. This can be more or less considered as an official availability of the product in the country. Here are the websites selling iPhone 7 and 7 Plus in Pakistan. HomeShopping is popular for bringing the latest technology gadgets in Pakistan and that too at a very premium price tag. According to HS staff, these premium priced gadgets are for early adopters who do not care about the price but are anxious to be the first one to get their hands on the gadget. Both iPhone 7 and 7 plus are available on HomeShopping.pk. iPhone 7 starts from PKR 83,990 without any official and HS warranty. iPhone 7 Plus starts from PKR 101,990. Telemart is also becoming a trusted names in gadgets domain. Here the iPhone 7 is available for PKR 80,599. iPhone 7 Plus is available here for PKR 99,999. There is no mention of any warranty anywhere. FutureTech is an authorized seller and service provider of Apple products. It is currently taking pre-orders for the iPhone devices. You can visit their centers in Lahore, Karachi, Islamabad and Faisalabad to get the devices. This time around Standard Chartered Bank is offering iPhone 7 and 7 Plus in installments. There is no mark up fee for 6, 12 and 18 months installments. You can read more about the installments here. Ufone is currently taking preorders for the iPhone. The price of iPhone available with telecom companies will have a bit higher prices because some data bundles will be attached with the device. You can pre-book here. Telenor is also doing the same. You can get more details here. Daraz is currently taking preorders for iPhone 7 and 7 Plus. They are selling the base model of iPhone 7 for PKR 85,499, and base model of iPhone 7 Plus 128 GB for PKR 113,799. At ShopHive, iPhone 7 is starting from PKR 85,499 and iPhone 7 Plus is starting from PKR 100,899.
iPhone 7 Plus is starting from PKR 99,899. But, we couldn’t find the base model of iPhone 7 there. At Mega.pk, iPhone 7 is starting from PKR 84,999 and iPhone 7 Plus is starting from PKR 104,999. The best deal with respect to the price point is Telemart. But if you can wait for a while, this black friday, a lot of these websites will slash off the prices of iPhone 7 and 7 Plus as well. You can grab the gadget with a good discount then. 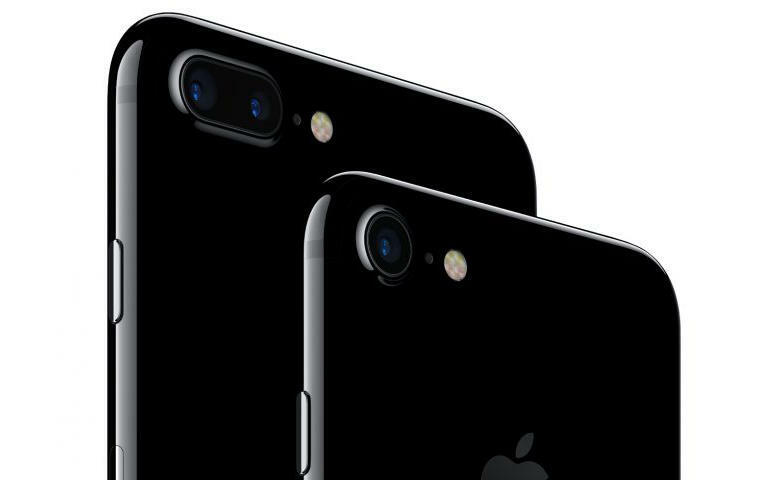 The post These 10 platforms are selling iPhone 7 in Pakistan appeared first on TechJuice.